Once upon a time there were good actors with a glowing career ahead of them. Now comes a film with multiple Oscar winner in it. however with just reading the synopsis does make me feel that "an Oscar doesn't make a career in good films". In their day any one of four of the cast would be enough to draw in massive box office but that was five to ten years ago. 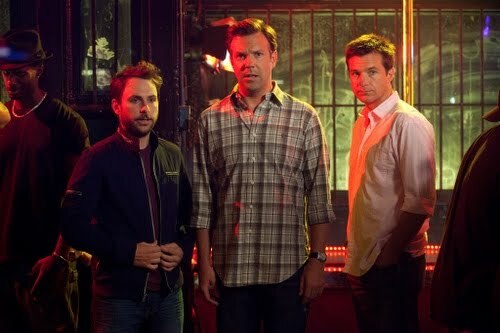 Now they have all come together in the ensemble comedy, Horrid Bosses. For Nick (Jason Bateman), Kurt (Jason Sudeikis) and Dale (Charlie Day), the only thing that would make the daily grind more tolerable would be to grind their intolerable bosses (Kevin Spacey, Colin Farrell, Jennifer Aniston) into dust. Quitting is not an option, so, with the benefit of a few-too-many drinks and some dubious advice from a hustling ex-con (Jamie Foxx), the three friends devise a convoluted and seemingly foolproof plan to rid themselves of their respective employers...permanently. There's only one problem: even the best laid plans are only as foolproof as the brains behind them.